Dragon Quest is all about tradition. Despite a lot of evolution within the genre, the granddaddy of them all has offered up its change with spin-offs and side offerings, rather than trying to re-invent the wheel. Perhaps that is why the franchise is so successful in Japan, where one country treats each new release as a holiday of sorts. 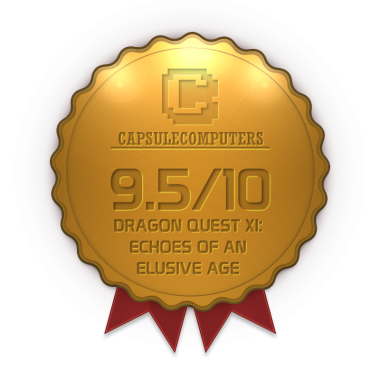 Either way, We now have Dragon Quest XI: Echoes of an Elusive Age fully translated and out in the west, featuring a few firsts for the namesake. With a fresh look, brand new narrative, and all the slimes you can crush, does the eleventh main entry in the series live up to its history? Let’s find out. You are the luminary. A silent protagonist who is to save the world from an evil force. Due to being the yin to the big evil’s yang, the world begins to turn on our hero, as his existence spells inevitable doom for everyone. After meeting a few allies and even followers, it is up to you to bring peace to the world while finding out more about yourself, which will allow you to save the world. Yes, it is a generic, JRPG plot, right down to the memory lapses and orphan theme our main character provides. That said, there is a light air that follows this plot, and that what makes the whole journey so endearing and fun to play. Our cast of characters are lovely. While the Luminary is rather one-dimensional and even forgettable, the rest of the beings within paint a whole tale with a ton of charm and rich personality. Each character has their own backstory that becomes more realized as you progress, such as twin sisters Serena and Veronica, the flamboyant fighter Sylvando, and the mysterious yet loyal anti-hero Erik, who honestly helps begin our focus point for the narrative. There are a ton of interesting folks to speak to, and a decent amount of party members that bring our tale alive and make the world feel like an immersive journey, rather than a write off. Like any good JRPG, Echoes of an Elusive Age also features books and other lore that give us a history, with minor Easter Eggs and other findings that deliver a bit of fan service for long-term fans. 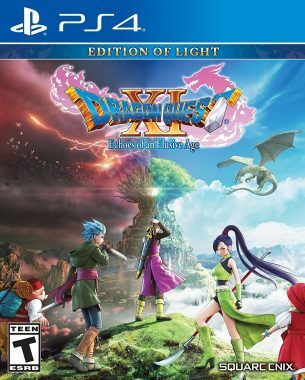 If you are all for things staying the way they were, then this is an experience for you as you can’t get more Dragon Quest than what this new entry has to offer. 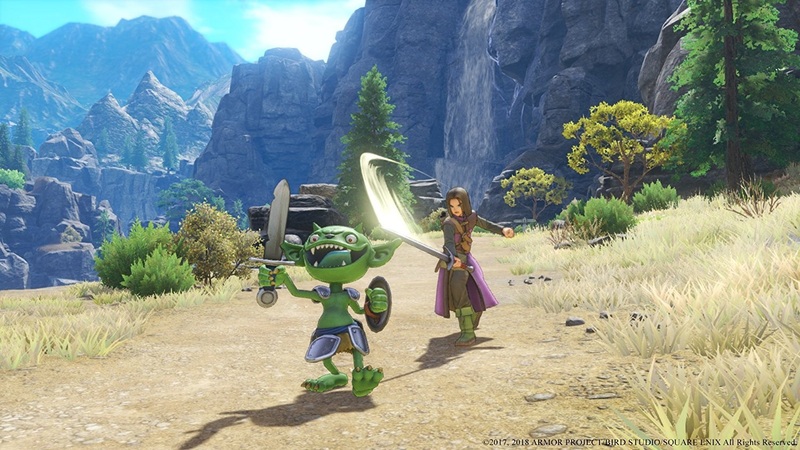 The gameplay within this title is well-polished, with slightly new options to give it a unique identity within the Dragon Quest line of games. 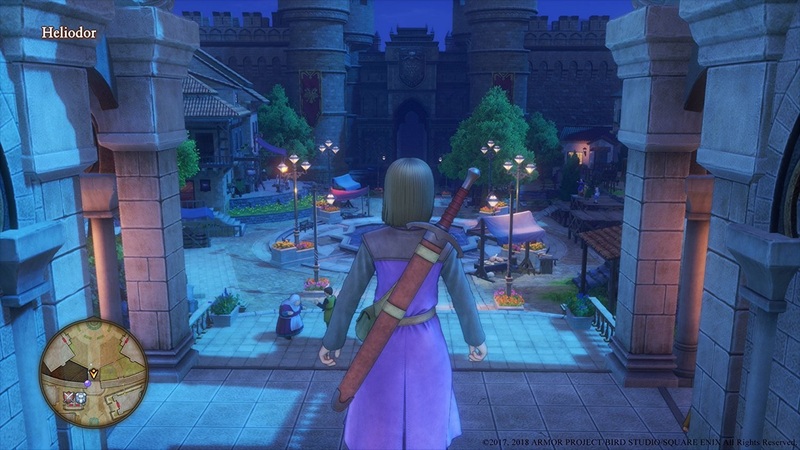 While Dragon Quest XI retains the turn-based combat from its predecessors, the battle system has been altered this time around, allowing players to move freely within a circle that contains all participants of the battle. To be honest, moving doesn’t add a ton of depth to the experience as moves still come on the same turn-based format, with stats picking the next up to fight, but I definitely can tell a difference in general feel due to the minor update. Another addition is the “pep” mechanic. After taking so much damage, players can team up to perform a special maneuver that at times, all four characters on the battlefield can do a massive attack, buff, or healing technique. It can take time to master your pep gauge, but in the latter part of the game, your pep becomes more important due to the incline in difficulty. I say difficulty, but Dragon Quest XI isn’t too difficult. Sure, there are moments within that a team that hasn’t been through a grind can hit a snag, but for the most part, it is easy to level up because the combat is both easy and fun, with silly monsters and campy side-quests that offer up a delightful way to get stronger. Progression is also enjoyable due to the accessible skill trees for each character, allowing you to go your own path based on the weaponry you have equipped. This means that each play-through can feel different from the next. Speaking of that, the harder difficulties within the game can definitely add a challenge, as even a more equipped team in New Game+ can suffer through an immense challenge as enemies receive large buffs and altercations to make the player go about the experience in a different fashion in order to survive. It isn’t just about combat, though. This world is huge and is a blast to explore. Players can obtain collectibles and items that are hidden around every corner, and the world begs to be explored due to how many activities are available to partake in. Players can seek out casinos to farm cash, join tournaments, hunt for medals, and so on to keep busy in-between the main story, and that is putting it lightly as every single town seems to provide some new locales to visit and sink into for hours at a time. It is because of this hefty amount of content that most players should have at least 100 hours to bite off here, as this may be the most refined and significant experience that this franchise ever offered. It is like the player gets a ticket to another life, and in my opinion, it has been too long since the genre has felt this layered. 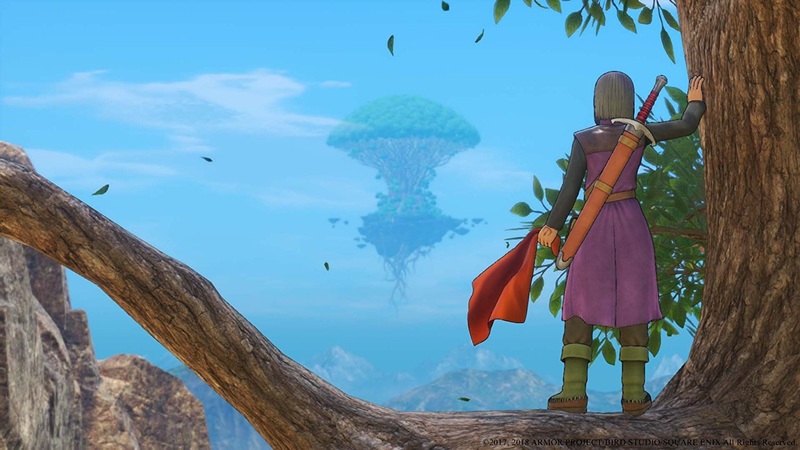 Visually, Dragon Quest XI is a stunner. Not because of the models or even the general cutscenes, but instead due to the usage of bright color and heavy animation. Even NPCs are constantly busy shuffling about, providing an inviting atmosphere that feels alive and fluid. The battle animations are also beautifully crafted, with PEP abilities that stand out and sing, providing a simple reward of presentation for being able to land a rare attack. Sure, some may say that some of the visuals are dated or the textures in the overworld are a bit flat, but as someone who grew up with this series, I think it has evolved more than enough visually to get a pass as this really is about as far as you can push that art style in this universe. As far as audio goes, the biggest stand-out is the voice acting. Dragon Quest XI has a lot of voice acting, and that does a lot to give characters their little personalities. That said, there are some performances that are stronger than others and the Luminary not speaking much can be a bit of a drawback, but we definitely get a lot of speaking parts here, as well as a ton of dialogue in general that players can take in as they progress. The soundtrack is Dragon Quest. Sure, there are some changes and slight remixes to classic tracks, but from churches to title screens, you really cannot get more Dragon Quest than the music on fully display here. Dragon Quest XI is not a treat, but instead a full course meal that is sure to satisfy fans for years to come. The game is large and boasts a ton of content, while keeping its knees deep in its own traditions and values. 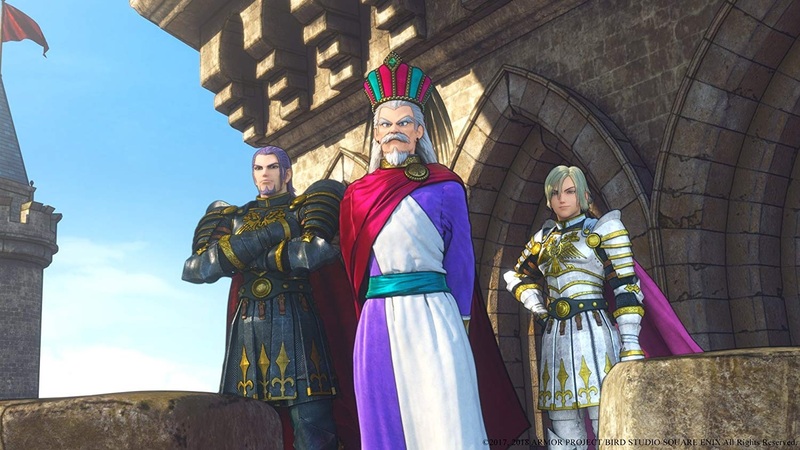 It is rare when any franchise stays true to itself and sure, one could critique the inability for Dragon Quest to change it up or get a facelift, but with such refined combat and heavy substance, why bother? 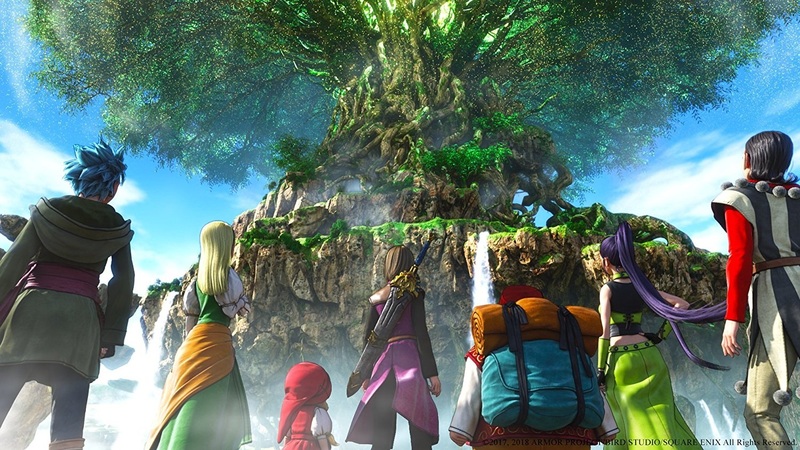 This series has its spin-offs, alternative takes on its own lore and so on, and if Dragon Quest XI: Echoes of an Elusive Age is able to provide us anything definite, it is that you don’t have to evolve to grow. 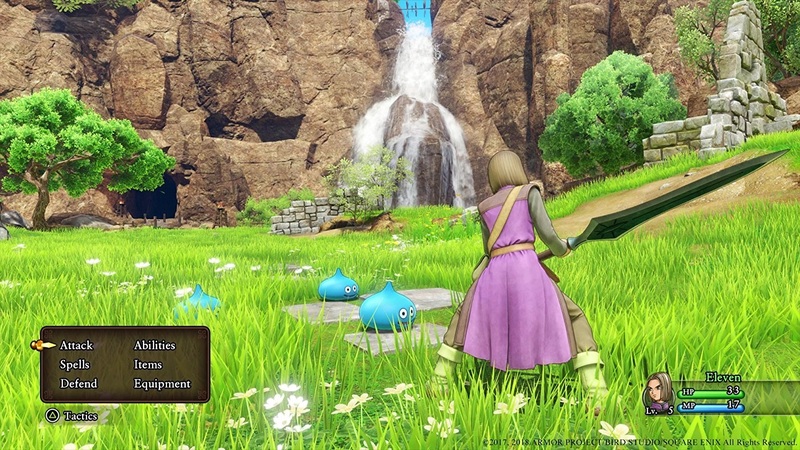 Fans of traditional takes on a genre that is still looking to find itself will be at home here, as Dragon Quest has its welcome mat laid out for all of us that want to beat up some slimes, level up, and go through it all yet again.